2019 Tree & Plant Sale Going On Now! See our normal offerings further down this page. The perfect gift that keeps on giving. 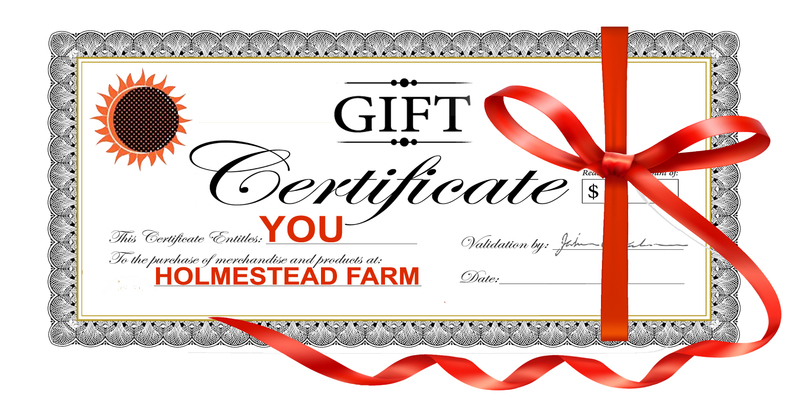 Get your gardening and nature-loving friends and family a Holemstead Farm Gift Certificate for the holidays. They can use it at our BIG Winter Tree & Plant Sale coming in February 2019. All of our plants and trees are certified and grown specifically for our area. Keep reading below to see all varieties we normally offer. If you don’t see something you want, give us a call at 256-404-4316 or email Bobby Ray at holmesteadfarm@yahoo.com. Winter is the BEST time to plant. Don’t pay more for lesser quality from the Big Box Stores and Mail Order houses. We have plants grown for our area and they are the BEST! Whatever you want you just let us know and we’ll make sure we have it during the sale. And if you have planting questions, just give us a call. We love to assist our gardening friends. REMEMBER … Trees and plants are gifts that keep on giving …. year after year after year! Thousands of trees and plants to choose from! And so much less than the competition. These are not the plants sold in the Big Box retail stores or mail order houses. Our plants are from certified commercial nurseries backed by local University research and support. Excellent root stock and the correct variety for our growing area. Plus, when you shop with Holmestead Farm, you get the advantage and benefit of our knowledge and experience we’ve gained right here on our own farm. We’ve done all the experimenting and trial and error so you don’t have to. Have a growing or plant question? Just ask. We love to share knowledge and talk about farming and gardening. 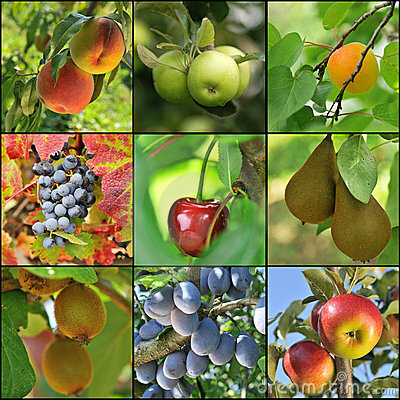 Grow your own blueberries and other fruits! You’ll save BIG bucks on our trees, plants and vines because we sell to the public at Wholesale Nursery prices. Our plants are sold as bare-root packaged as well as in various size pots. Don’t see what you want? Not to worry. Whatever you want we can procure it for you. Call 256-404-4316 or email Bobby Ray at holmesteadfarm@yahoo.com. Plus, you get our knowledge, experience, and advice for FREE! Look over the listings below to review the wide selection we usually offer during our annual sale. We look forward to seeing you at the farm. Don’t see what you want? Not to worry. Whatever you want we can procure it for you. Call 256-404-4316 or email Bobby Ray at holmesteadfarm@yahoo.com. If you don’t see what you want on the list above, ask Bobby Ray when you call. You’ll save BIG bucks on our trees, plants and vines because we sell to the public at Wholesale/Nursery prices. Our plants are sold as bare-root packaged as well as in various size pots. Don’t see what you want? Not to worry. Whatever you want we can procure it for you. Call 256-404-4316 or email Bobby Ray at holmesteadfarm@yahoo.com.